Write Kurt Busiek will be replaced by Tad Williams beginning on issue #50. As was previously announced, artist Shawn McManus (earlier reportes stated artist Paul Gulacy) will be taking over the drawing duties as well. Read the Newsarama story here. 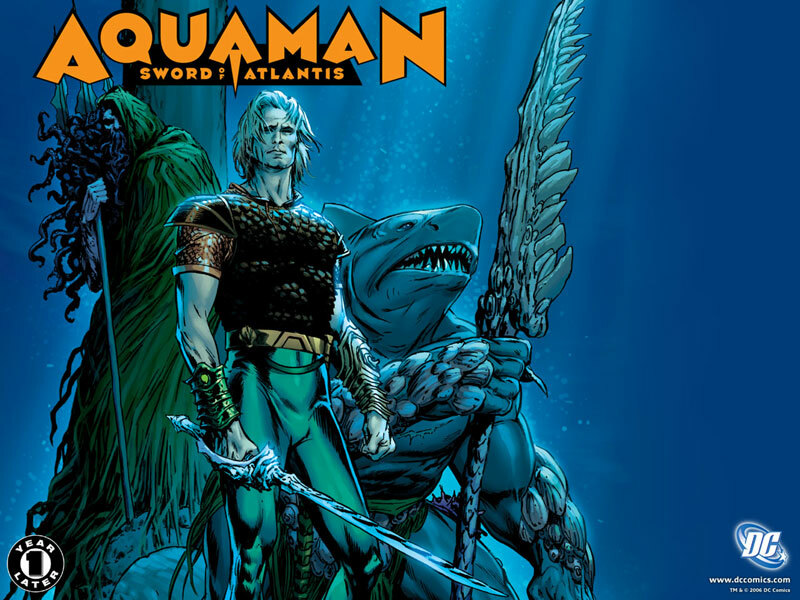 Yes, we still admit we regularly purchase Aquaman titles. The previous reboot we really liked, where San Diego is sunk with its surviving citizens becoming water breathers. 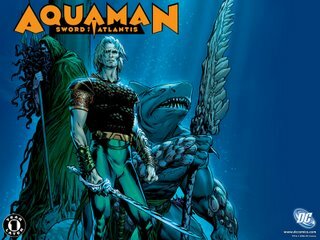 This one is interesting too, kind of like Camelot meets Atlantis, taking place after the destruction of Atlantis during the Infinite Crisis storyline, but we're unsure of where it will end up. Either way, we're a sucker for the guy who claims dominion over 70% of the livable space on this planet.